In today’s episode, I interview Georgie Abay the founder of The Grace Tales. Georgie takes us through her pregnancies and premature births of her little girl Arabella at 34 weeks and Lottie at 33 weeks. After trying to conceive for 6 months Georgie fell pregnant with her first daughter Arabella. Georgie experienced terrible morning sickness up until 19 weeks with Arabella. After completing her Calm Birth course at 34 weeks, Georgie went into labour the next day prematurely. After going in for a routine ultrasound the staff discovered that she was going into labour. Her doctor sent her straight to the hospital to have a steroid injection and sent her home on bed rest. Georgie was due to be a bridesmaid for her best friend later that week and had a nail appointment that day in preparation for the day. Her mum said she could take her to her nail appointment and as she would be laying down in the chair she would therefore be resting. Georgie’s waters went in the nail salon in a comical movie style fashion. She ended up borrowing a towel from the salon and put that under her dress and she and her mother made their way to the hospital, via the supermarket to pack a last minute supply bag of essentials for the very early birth. Despite her waters going contractions didn’t start so, Georgie was induced to progress the labour. After labouring for 17 hours with the assistance of an epidural and forceps, Arabella was delivered 6 weeks early. Arabella was checked by a paediatrician and was then wheeled off to the special care nursery. Georgie explains that Arabella’s emotional birth and the separation she experienced was the hardest thing she had experienced. Arabella was formula fed in the special nursery and Georgie went home without her little girl. 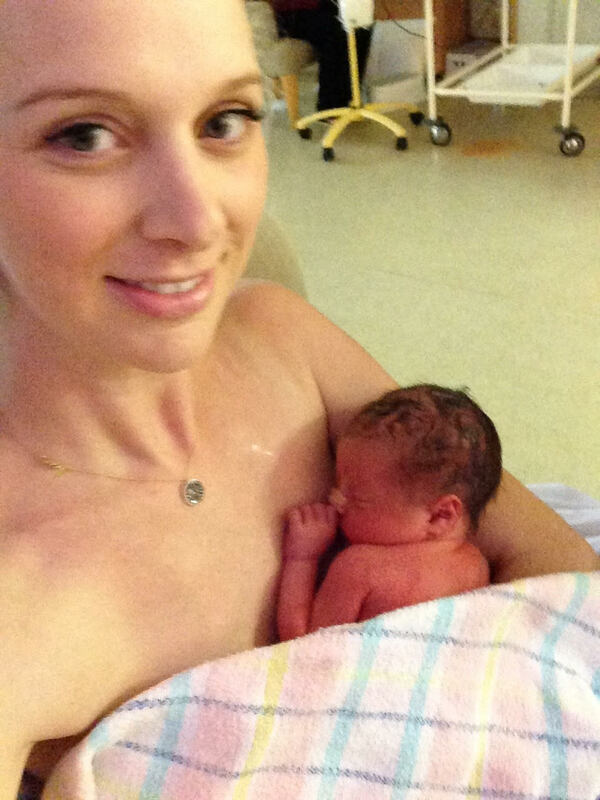 Georgie shares the heart ache she experienced in leaving the hospital without her baby. When home Georgie pumped tirelessly through the night to bring her milk supply in and was able to successfully bring in a great milk supply which enabled her to start breastfeeding Arabella when she was stronger. After two weeks of care in the special care nursery, Arabella was discharged and came home.